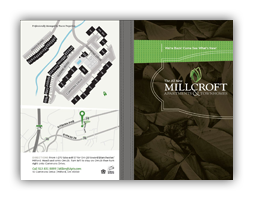 Receive a Millcroft Apartments & Townhomes Brochure! Ready to apply for your new place? Click the image below to download the Millcroft Apartments & Townhomes Lease Application. Simply fill it out in full and fax it to (513) 831-0171 or bring it by our office to get started! We look forward to welcoming you as our newest resident at Millcroft Apartments!